Measures: 3.875"W x 10.5"L, 1 cup capacity. Made in India. The handle is easy to grip and is decorative when not in use. 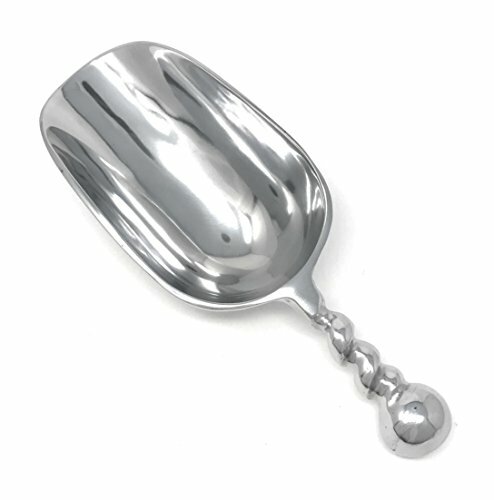 Made of highly polished sand cast aluminum. Traditional craftsmanship may result in slight imperfections of each item. Multi purpose barware for scooping ice or dry goods such as: coffee, candy, flour, and pet food. If you have any questions about this product by IHI, contact us by completing and submitting the form below. If you are looking for a specif part number, please include it with your message.